It's August and about two months until my very first book with Martingale is ready! Twelve scrappy projects await you! I am so, so jazzed to be able to show you more of the projects in the book. This little quilt is called North & South. So sweet, so fun, and so easy! This cutie is called Tess. I love Half Square Triangles! They sure can create striking effects in little quilts! 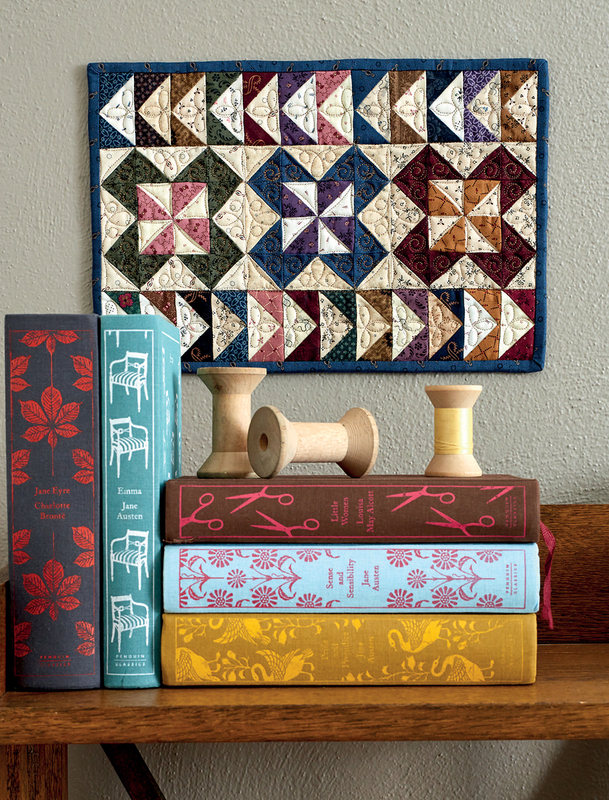 Flying Geese and Pinwheels make this quilt a breeze to piece together. Quilt is called Little Women. 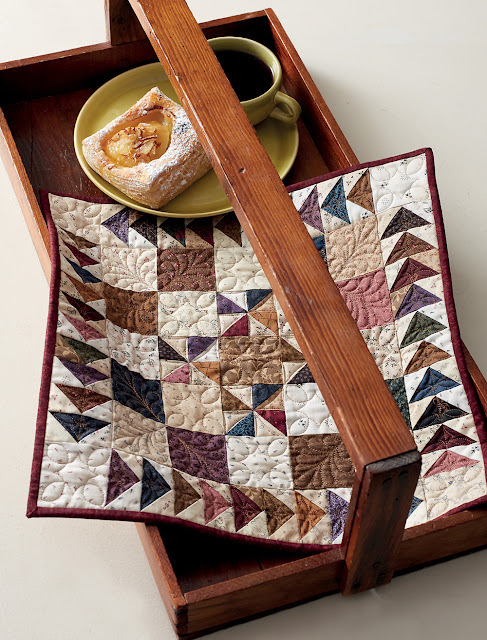 Even the tiniest pieces can make a darling little quilt. And, they're perfect for hand quilting. That's just a sneak peek at four of the twelve projects. They are all named after nineteenth century best selling books. Did I mention that I made all twelve projects from just one 10 x 10 precut??? Yup...I really did and you can, too! 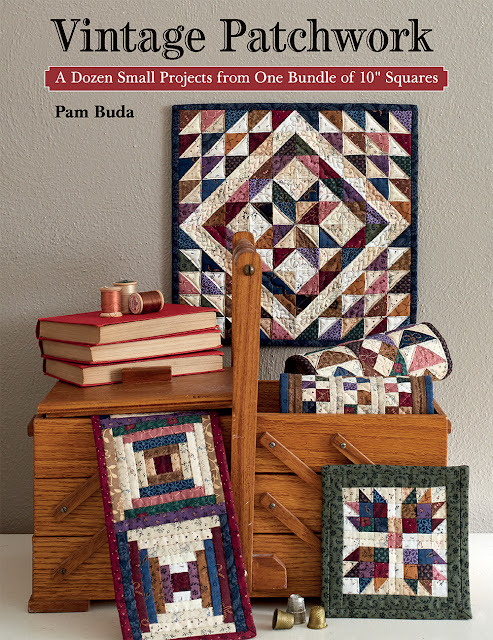 I used one 10 x 10 precut of my Pam's Prairie Basics & Shirtings collection. Talk about an easy kit! And...what a value, right? I'm taking pre-orders here for the Vintage Patchwork book alone. 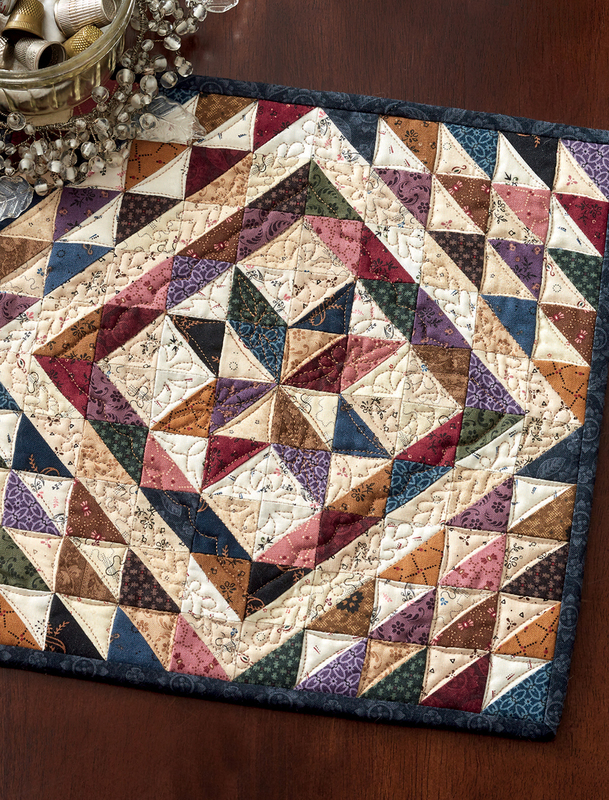 Click here to order a combination of the Vintage Patchwork book and the 10 x 10 precut together. Order before Sept 15th and I'll include a special little Thank You gift. And...you will get a personalized, signed copy just for you! Please place your book or book/fabric combo order separately from other items. Your order will ship in October as soon as the books arrive! Thank you so much for the support you give to my little business. It enables me to keep working on fun stuff to inspire you. Congrat's on being published. I love your work. 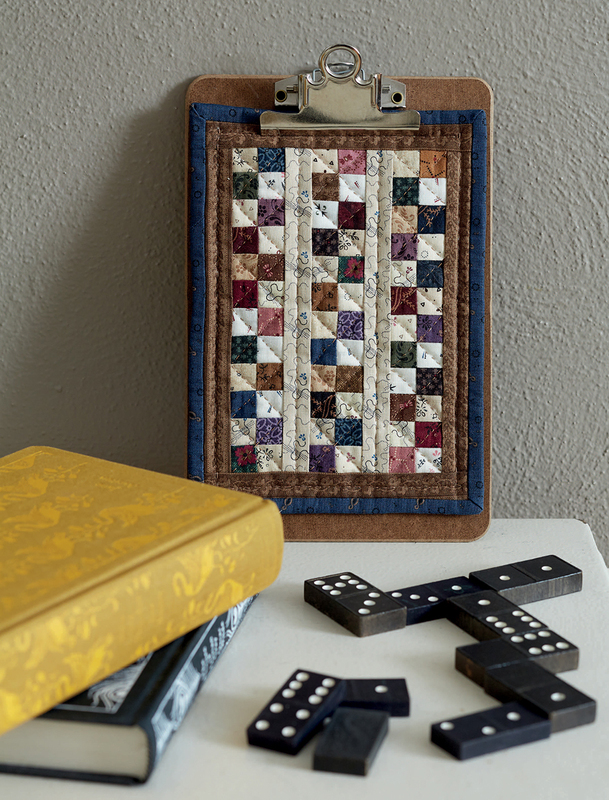 What fun little projects, your fabric colors are perfect. Would like to order a book, but you dont have postage options for overseas, so therefore I have to assume the price given was in US dollars? Definitely going to order this! Pam, these are absolutely marvelous. You are so talented! Beautiful little quilts! Congratulations, Pam. Congrats and Blessings on your book! Woo Hoo!